A hospital where nurses’ concerns about sepsis were ignored and reception staff were left to triage an emergency patient is being closely monitored by the health watchdog. 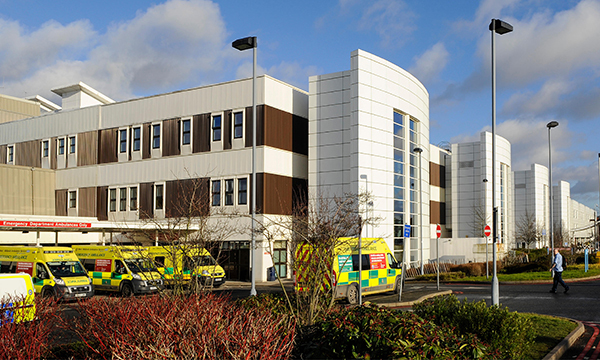 The Care Quality Commission (CQC) is acting on a number of concerns about patient safety at the emergency department at Russells Hall Hospital in Dudley, West Midlands. At one point during their visit to the hospital in June, inspectors intervened to tend to a patient in the department who had ‘blood oozing out onto their clothing and the floor’. Their report says the patient initially had their wound dressed by a triage nurse only after a member of the public raised concerns to reception staff. After the patient was then placed back in the waiting area, another member of the public spoke to reception staff about their condition, and when the triage nurse did not return the inspectors intervened to help the patient and ensure they were attended to. The CQC also found doctors were not taking nurses’ concerns about infection seriously and were ‘frustrated at the focus on sepsis’. The report, published last week, also says some nursing staff were handing responsibility for overseeing patients in the emergency department’s main waiting room to reception staff. ‘The triage nurse and senior staff told us the responsibility for these patients lay with the reception staff as it was impractical to expect the nursing staff to have clinical oversight of these patients,’ the report says. CQC deputy chief inspector of hospitals in the central region Heidi Smoult said the watchdog has placed conditions on the trust's registration, meaning it must provide regular updates to CQC on staffing, triage and sepsis management. The findings of another inspection will be published shortly. A trust spokesperson said that changes to its triage process were made immediately after the inspection, including the identification, escalation and management of patients with sepsis or a deteriorating medical condition.